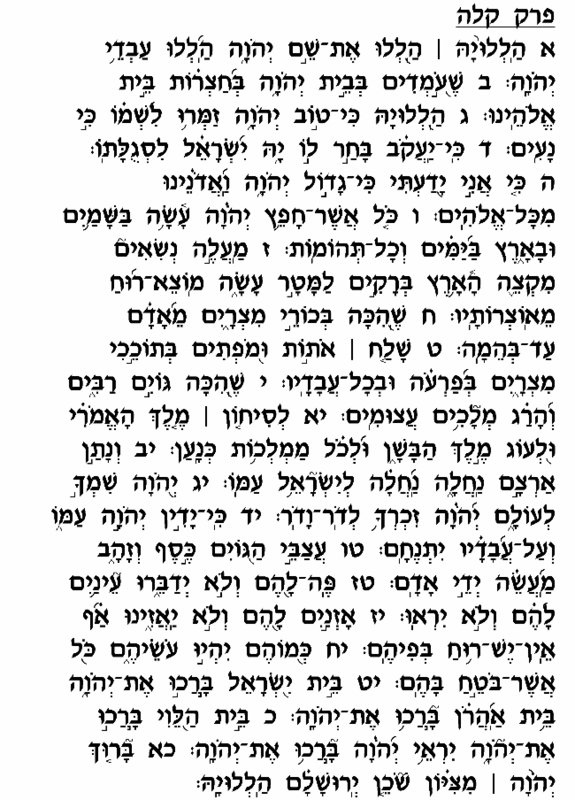 This chapter, like the preceding chapter, addresses "the servants of God" standing in the Bet Ha'mikdash. As in the previous chapter, we find different views among the commentators as to whether the Psalmist speaks specifically to the Kohanim (Radak, Ibn Ezra), or to those who have frequented the sacred site to pray and give praise to the Almighty (Mesudat David). 3) The fundamental difference between Him and the pagan deities. 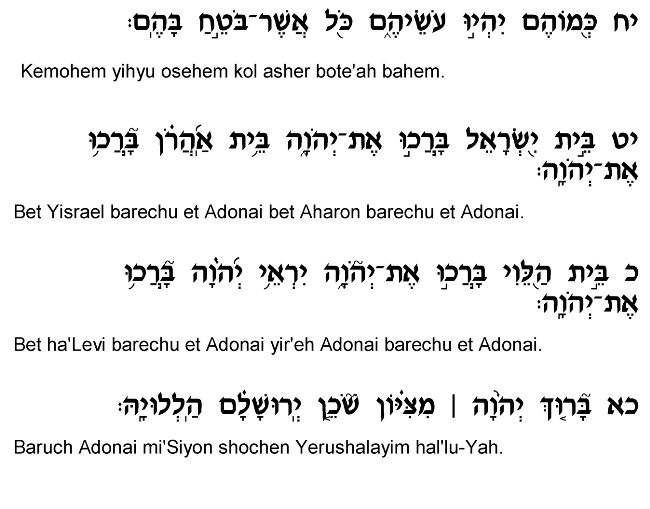 With regard to the first theme, the Psalmist speaks of how God does "anything He wishes" in heaven and earth (verse 6), and mentions the supernatural events of the Exodus and the conquest of the <?xml:namespace prefix = st1 ns = "urn:schemas-microsoft-com:office:smarttags" />Land of Israel (verses 8-11). As for His special love for Am Yisrael, this chapter describes God's choosing Israel as His treasured nation (verse 4), how He gave us Eretz Yisrael as an eternal possession (verse 12), and His promise to avenge our suffering from the enemy nations (verse 14). Verses 14-18 emphasize the pagan deities' inability to perform even the most basic activities, which directly contrasts with God's unlimited power and dominion over the earth. Thus, this chapter reminds those praying in the Mikdash – as well as us, who are as yet unable to pray in the Mikdash but nevertheless pray in synagogues – of the kind of emotions we should experience as we stand before the Almighty in prayer. We are to feel humbled and intimidated by God's limitless power over the world, and also grateful for the unique relationship He has forged with our people. Finally, we are to feel privileged that we are able to pray to the one, true God, while other peoples pray to powerless deities. This complex combination of intimidation, gratitude and sense of privilege characterizes the attitude and feeling we must bring with us to prayer, and, more generally, the way we should relate to God and our relationship with Him throughout our lives.